I’m a day late, I’m sorry! Ever have one of those days where you are insanely busy but when you think back you didn’t do much? That might sound weird but I felt so swamped and busy yesterday but thinking back to everything I did, I wasn’t as bogged down as I thought I was. Yesterday I spent all day preparing for a Halloween party … making my costume, picking up some food and drinks, contacting everyone I was supposed to go with, etc. 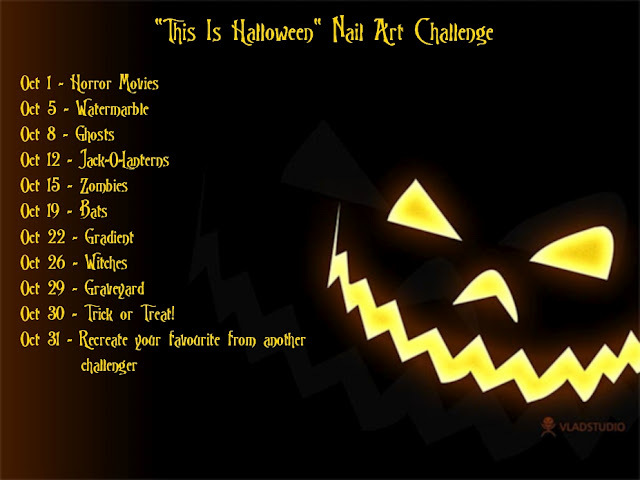 But I still did paint my nails for this challenge! Just didn’t get time to write this post. I was at a total loss for this day’s challenge. Witches seemed like one of the hardest days and I was void of all inspiration. I turned on Hocus Pocus in the background while I was making my Halloween costume and suddenly I was filled with all these ideas! I brought out a ton of polishes to do a gradient with the colors of the 3 Sanderson sisters but then Max lit the black flame candle. 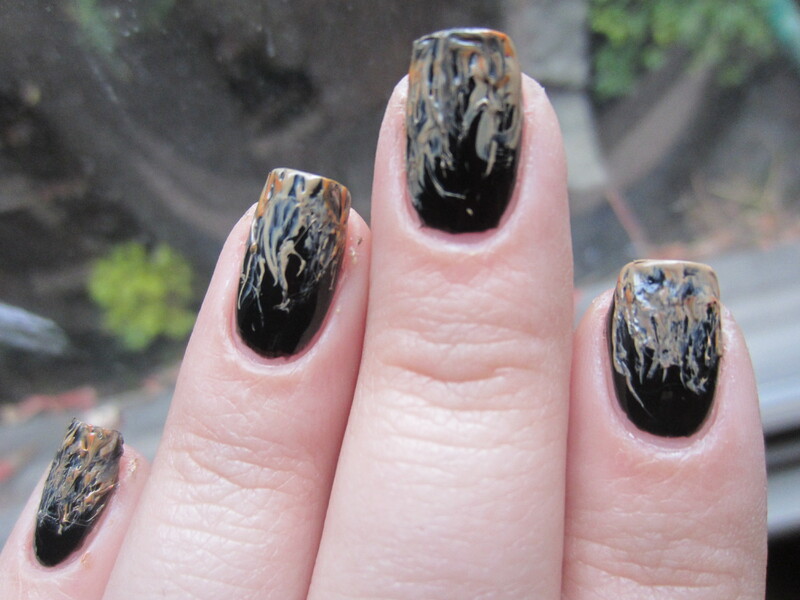 So this manicure is supposed to be the black flame candle! Can you see it? Maybe? 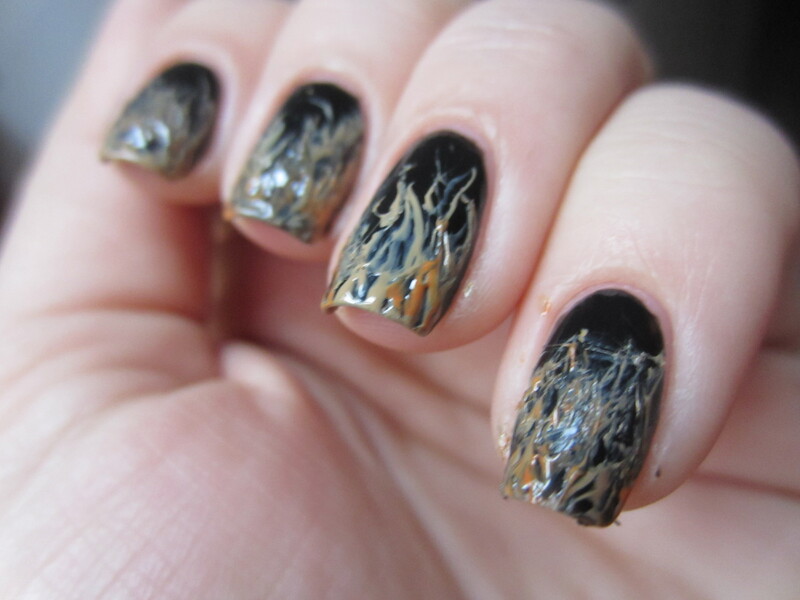 I have wanted to do a flame manicure using a needle point for a long time and this seemed like the perfect time. I tried to do a google image search of the black flame candle and there weren’t any pictures. But the flame in the movie was black in the center with a light brown around the perimeter. 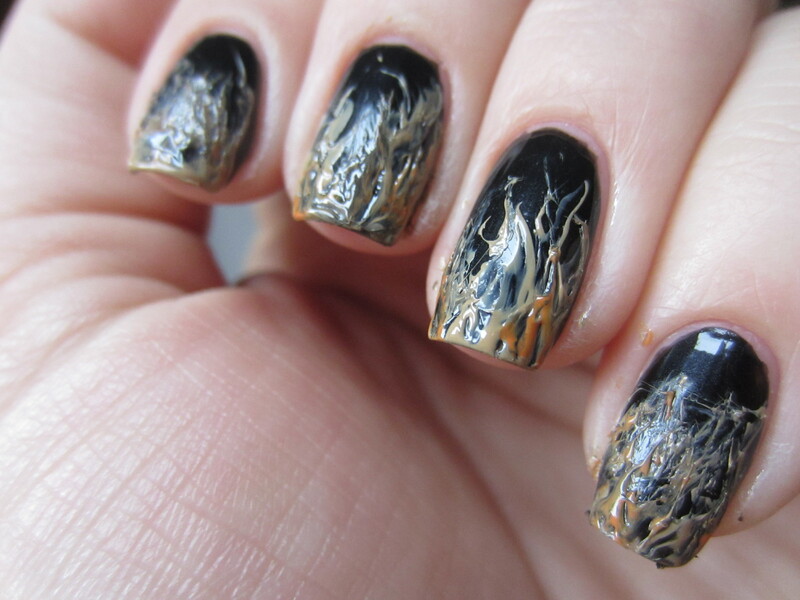 Then I added a little bit of orange to make it more “flame” like. Hope you guys like this post! Which one of the Halloween posts has been your favorite so far? I have to repeat one of the challenges on Wednesday so I’m looking for suggestions! ← Great Lash Mascara Limited Edition Blink of Blue Review! Love it!! Great job replicating the black flame candle! !